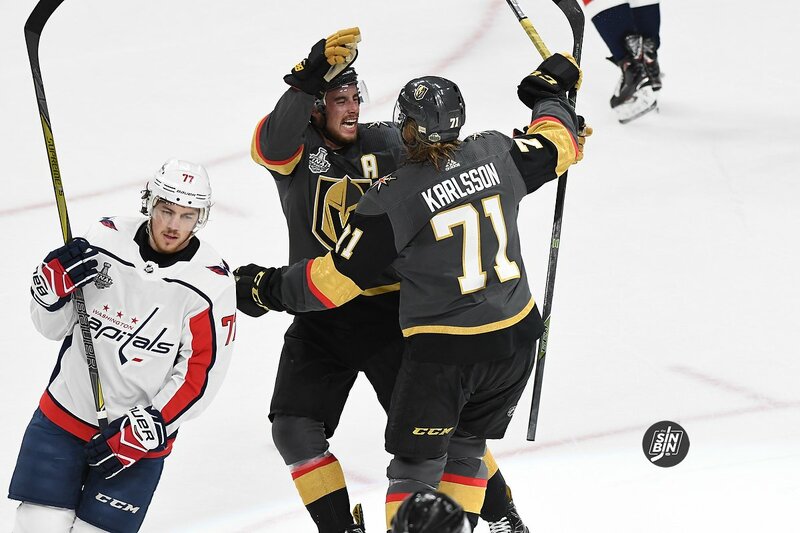 Heading into this season the Golden Knights top line of Jonathan Marchessault, William Karlsson, and Reilly Smith were expected to lead the charge. A combined +116 with 92 goals a year ago between just the three had them as one of the best lines in all of hockey. The chemistry they had in the regular season extended into the playoffs. It picked right back up when the trio was reunited in preseason to start this year. 20+ games in, the numbers weren’t quite as staggering as a year ago, but there was no question Marchessault, Karlsson, and Smith were the best line the Golden Knights had and remained a force to be reckoned with. But recently, it’s hit the skids. Prior to the game in Detroit, the last time Marchessault, Karlsson, and Smith all had a point in the same game was on December 14th (a stretch of 12 games playing together and 23 total). Smith’s injury put a halt to the line altogether, but even before it, the previous 10 games they were together, they managed just 10 total points and only five goals. As importantly, the defense appeared to be slipping as well. During Smith’s absence, it did not improve for Marchessault and Karlsson, instead it got much worse. The pair combined for five goals in nine games (four of which were scored in the same game), just four assists, and they posted a miserable -17 over the three-week span. Yet, when Smith was ready, he wasn’t put back on the line with Marchessault and Karlsson, instead, Gallant gave them Valentin Zykov for a couple games, and there was a level of success. However, midway through the game in Detroit, following a penalty kill, Marchessault, Karlsson, and Smith found themselves on the ice together once again, and it looked like the old days again. They were a combined +5 in Thursday’s game, scored three goals and had five points, but more importantly, their shifts were dominant almost every time they touched the ice. I’m not sure who Gallant was trying to “piss off” but it appeared to work… at least for one night. It feels like a reboot and sometimes that’s just what a line needs. A fresh start, which they now have. Tonight is a tough test against a terrific defensive team in the Blue Jackets. The last two times Vegas has faced Columbus, the Golden Knights scored a total of one goal. However, the time before, the only trip Columbus has made to T-Mobile Arena, Vegas dropped six on them, including two from Karlsson and a pair of assists from Marchessault. The Golden Knights need Marchessault, Karlsson, and Smith to produce, whether they’re playing together or not. For now, they’re reunited. Hopefully, it keeps feeling as good as it did Thursday night in Detroit.